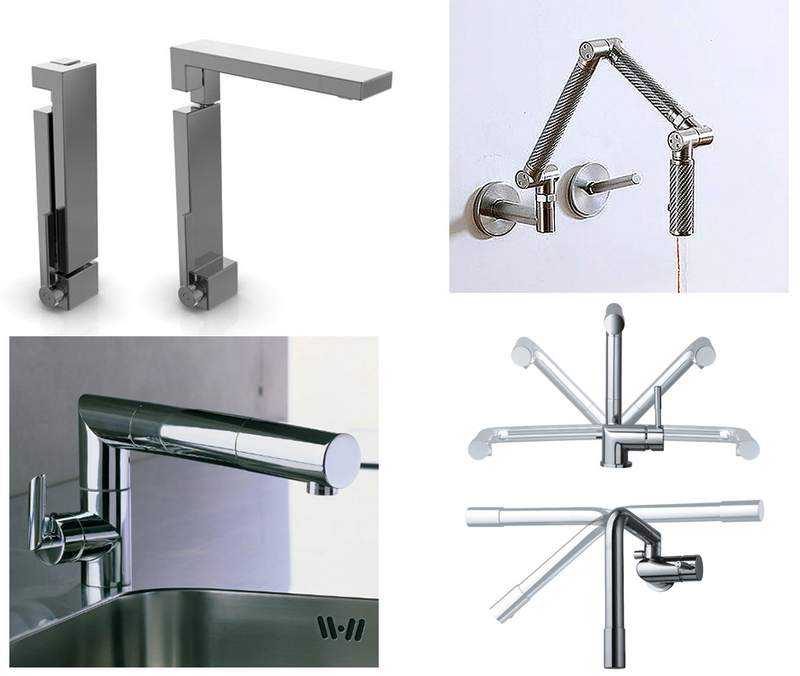 When it comes to new trends in kitchen faucets, manufacturers are introducing new designs that are not only utilitarian-chic and of minimalist design, they also fold. When space is a premium, the Tac Tac geometric faucet by Ritmonio is an ideal choice. For a wall mount option, the folding Karbon by Kohler is the only option. The folding Snake faucet by Nobili Spa discretely has numerous folding options. The Tower Tech faucet by Cascade is similar to the Snake with fewer folding options but it has more finish choices and is more readily available in North America than it’s Italian counterpart.